Perfect Gift for a Girlfriend – Top 5! Free Jack Reacher Books: #1 Most Read On Amazon! Optimum Nutrition Protein Drink – Start The Year Right! Amazon Prime Member Cost – Is It Worth It? As spring breaks way, and summer is just on the horizon, windows start to open and with that comes pollen, particles, and pollutants. The Dyson Pure Hot Cool Purifier is the perfect fit for any family looking to cool down this summer while avoiding the harmful effects that air can carry with them. Whether you have allergies, a sensitive immune system, or just simply live in a fire zone, the Dyson Pure Hot Cool Purifier can help eliminate a lot of those concerns, and ensure you breathe the REAL fresh air coming through your windows and doors. On another note, come winter again, this fan can suit all purposes through-out the year. With the Dyson Pure Hot Cool Purifier, you’re sure to invest in not only part of the year, but will find yourself using this machine all year round. Sounds too good to be true, I know. I recently purchased the Dyson Pure Hot Cool Purifier, considering Dyson to be one of the higher-quality brands, and have my own opinions to share. However, join me in my research of finding the Dyson, to using it, and even what I am finding others are saying about the same product. Let’s take a look at the Dyson Pure Hot Cool Purifier! Dyson is predominately known as the “expensive” brand. But to look further, the brand Dyson came to be in 1991, by a Sir James Dyson, having created his own “cyclone” acting vacuum at home after many frustrating attempts with a hoover vacuum. Dyson has always been known to have the best suction, due to this cyclone system, and is how they were able to separate themselves from the pack of vacuum makers. In addition, having created the first bag less vacuum was huge! Now, when I think of Dyson I think of car companies like Mercedes-Benz, and Audi. Are you paying for the high end “brand” or are you actually paying for a good quality product? Dyson has created air purifiers, vacuums, hair dryers, fans, heaters, and even products that do all of it. For example, my product I purchased, the Dyson Pure Hot Cool Purifier. Dyson truly prides themselves on “products that work as described”. The reason James Dyson created his first bag less vacuum was because he was tired of the false promises that every other product brought him. When you can’t find something to do it for you, do it yourself I guess, eh? Their products go through very rigorous testing, tons of practice runs, and hundreds of prototypes before hitting the market to ensure that no matter what type of environment or usage the product gets, it will continue to perform as new. Dyson is known for engineering products that are built to last, and perform 100% all the time. This can be accounted for when you see the price. 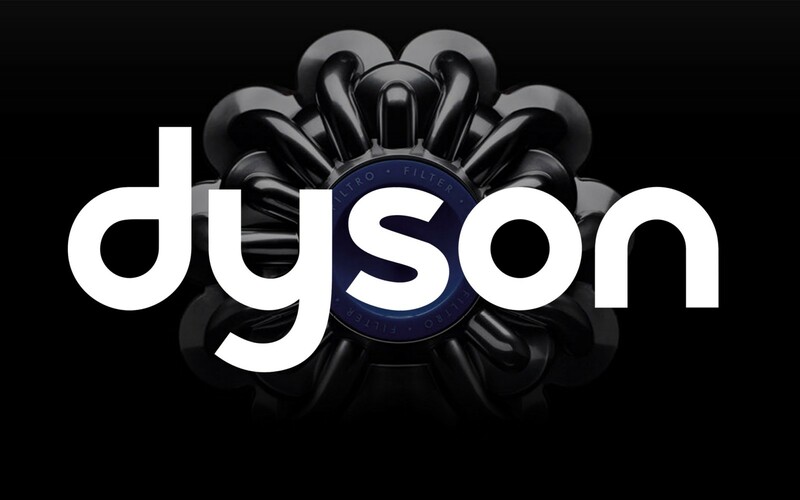 Hundreds of hours has been put into ensuring Dyson product perform best out of the entire pack. So the reason I purchased the Dyson Pure Hot Cool Purifier is because of a smoker down stairs. I live in a condo, and when summer hits, the individual likes to smoke on their patio. Fair enough, but boy does it drive me crazy. Unfortunately I cannot change what they do, and I cannot change the positioning of my condo. So I started to research air purifiers. I looked through ALOT of air purifiers. $50 ones, $300 ones, and as the Dyson $500 – $800 ones as well. When I started this research, my goal wasn’t to spend top dollar, but I needed one that was going to be effective for the purpose I needed it for. Not only that, It had to encompass at least a 300 – 500 square foot living area. Once that criteria was met, I had no other choice but to look at the more expensive machines. Why I Liked The Dyson Pure Hot Cool Purifier..
To be honest, it just seemed to give me everything in one. The Dyson Pure Hot Cool Purifier has triple functionality. It will help heat or cool your home all year around, and while doing that will purifier the air within a 300 – 400 square foot area within the hour. 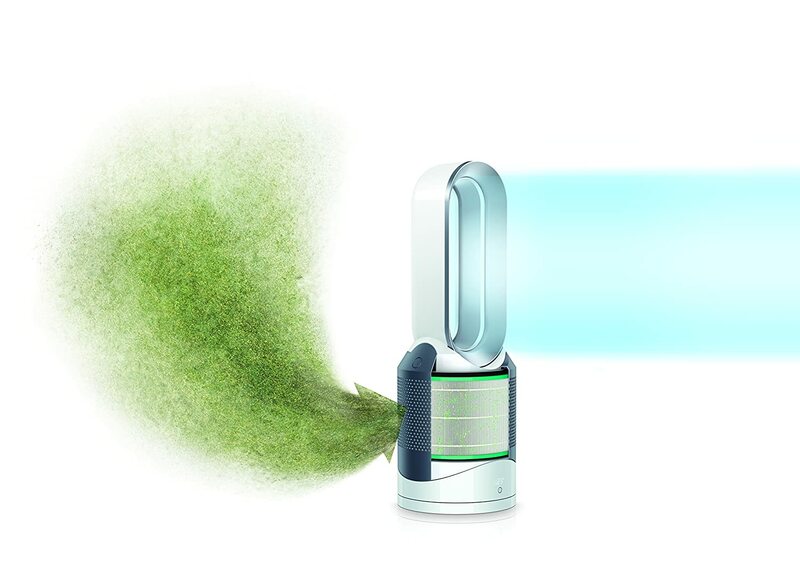 Regarding its purifying ability, it will remove 99.97% of allergens as small as 0.3 microns from your home. 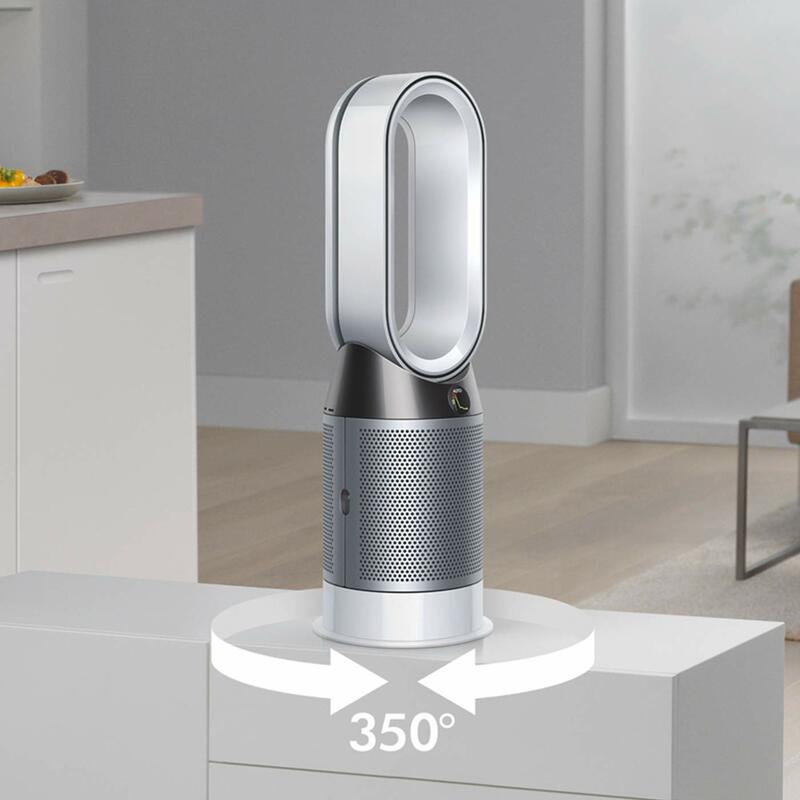 The product is designed to capture particles from a 360 degree angel, as the HEPA filter runs around the entirety of the Dyson. This HEPA filter will also capture odors and harmful toxins that may be in your air that you cannot see. It does all of this on an intelligent level, by automatically monitoring and reacting to different levels of toxins and allergens within the air. On its auto function, it will automatically increase or decrease the speed in which it filters and pushes out fresh air. All of this information can be connected to your phone to allow for real-time data of the air quality within your home. 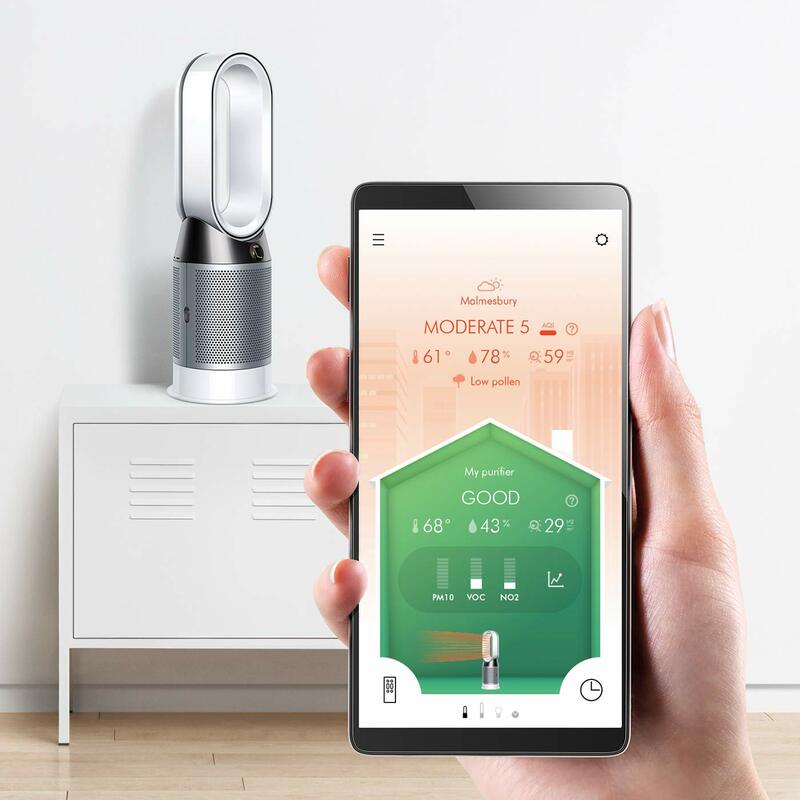 The Dyson Pure Hot Cool Purifier will show you graphs of how it is analyzing your air quality, and the time in which it had to ramp up or slow down to ensure the air quality stays the same. It always has a handy feature of showing you what the air quality is like within your home town/area to compare. The Dyson will also allow you to select the way in which the air comes from the machine, being either wide and encompassing of the whole room, or backwards streaming so it purifiers, but its not blowing directly at you. Going to bed? With this product you can select a sleep timer, and night-time auto mode that will perform the same but much quieter so you’re not destructed by it work away in the back ground. All those who have purchased the Dyson Pure Hot Cool Purifier mostly have nothing but great things to say. They love the way it detects on real time and transfers the information, and they love the hot cool options so that no matter what time of day or where they are in the house or even outside, they can communicate with the machine to heat or cool a room before you even step foot. The only off comment, besides price, that I’ve noticed is about the filter smell. Getting a new piece of technology usually comes with what most people would consider a “new” smell. However, this smell for those who are extremely sensitive might be too much. Hence, this poor comment found off Amazon. Also contains an active Charcoal filter, which has been proven to be effective at eliminating strong orders and smells like kitchen cooking, smoke, built in fabric odors and more. Can cool or heat a room to selected temperature within a half hour or less. Very detailed information and display whether on your phone or on the screen on the device. Expensive, even if you’re getting good quality. Have to use your phone to get long term air quality information. All in all, in the 2 weeks I’ve had this product I am loving it. It’s effective at heating or cooling almost on command. It has worked so well that after changing the heat up a bit, within 10 minutes I am cooling it down because it heated the room so quickly. The real time data could be better, as I find there’s about a 10-minute delay. The purifier will turn on indicating a lower air quality, but my phone would show those results until about 10 minutes later. Now, who’s actually watching their air quality that closely? Me for review purposes, but probably not many other people. I wouldn’t consider this a huge flaw in the product. My only other concern I have with the product is how low to the ground it is. During summer, and even right now, with the smoke coming from the downstairs neighbors, I am finding the machine doesn’t pick it up right away. I have my Dyson Pure Hot Cool Purifier on the floor, and it takes a bit to pick up the smoke smell before being able to deal with it. I am going to try situating it on a table to see if that makes it more effective. For the cost, I had thought about returning it. However, it seems the longer I use it the more I am enjoying the clean air it brings, and the effective cooling and heating on command. So far, I am happy with my product! Thanks for reading! For more reviews like this check out my main website www.websbestsellers.com!